Holiday Season is the most profitable period for retailers. It’s also one of the most competitive periods. Simple reason: Loads of offers everywhere! With choosy customers and unlimited options to opt from it’s an uphill task to sell more right? Here are some Sell More Strategies that might just make this uphill task lighter to deal with! The tool used in all these cases is Smart Offers! Sell more by emailing offers. Utilize the power of emails. It works on the pull principle. Do not sit and wish that your customer will land on your website to checkout an offer instead send the offer right into his mailbox. 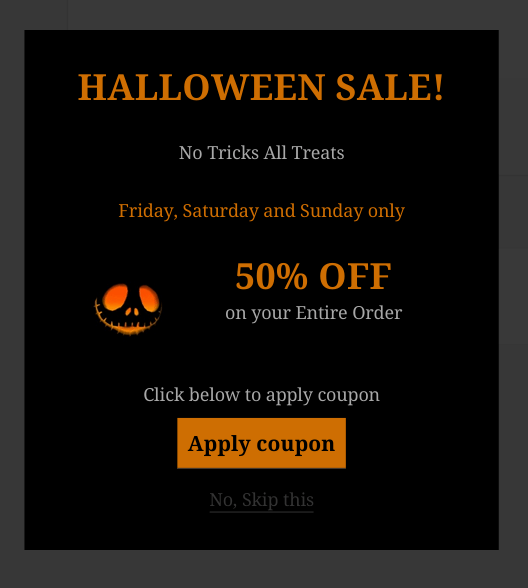 This cuts down the customers efforts on coming to your webpage, checking out the offer and then clicking the buy now link. Instead he simply opens the email, checks the offer right there and clicks to buy now right away. Smart Offers allows you to embed the whole offer in your email in a few simple steps. Read this article to know how. Sell more by simply selling more. When a customer has certain items in the cart you can sell him even more items using the age old trick of discounts. Using Smart Offers you can show Buy one Get One (BOGO) offers easily. For example: If a customer already has a shirt in the cart. You can pitch him another similar shirt but at a 50% discount. 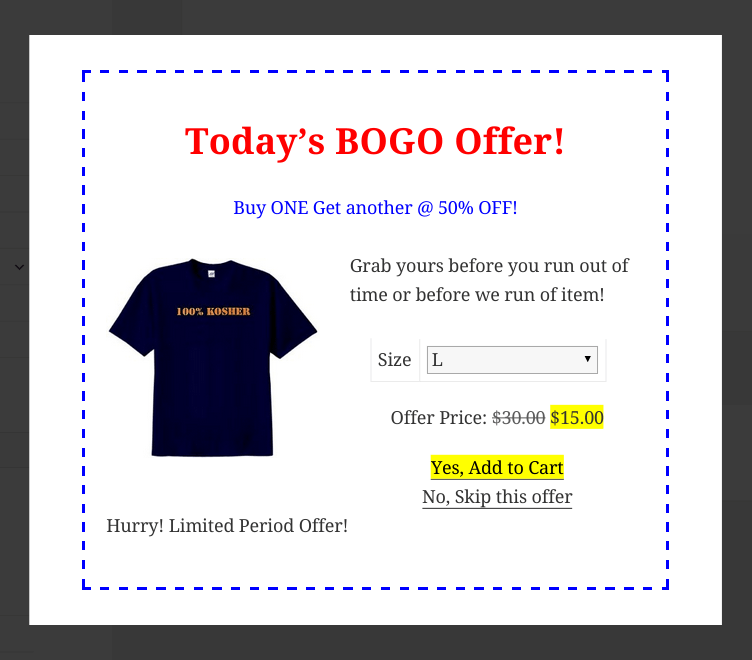 The discount will play the trick and the customer will jump in to grab the shirt due to the discount. Sell more by scheduling offers on important dates. Another interesting reason why store owners miss out on selling more is due to their laziness of not setting offers on important dates. Using Smart Offers one can setup offers in advance. So do not wait for crafting your offers anymore. Go ahead and start creating your Holiday season offers right now and just schedule them to go live on the respective days. For example: Setting up special offers for Halloween or for Christmas! Sell more by pitching complimentary products. The Checkout page is the last step in the purchase process, so make the most of it. Using Smart Offers you can set up an offer on the checkout page. 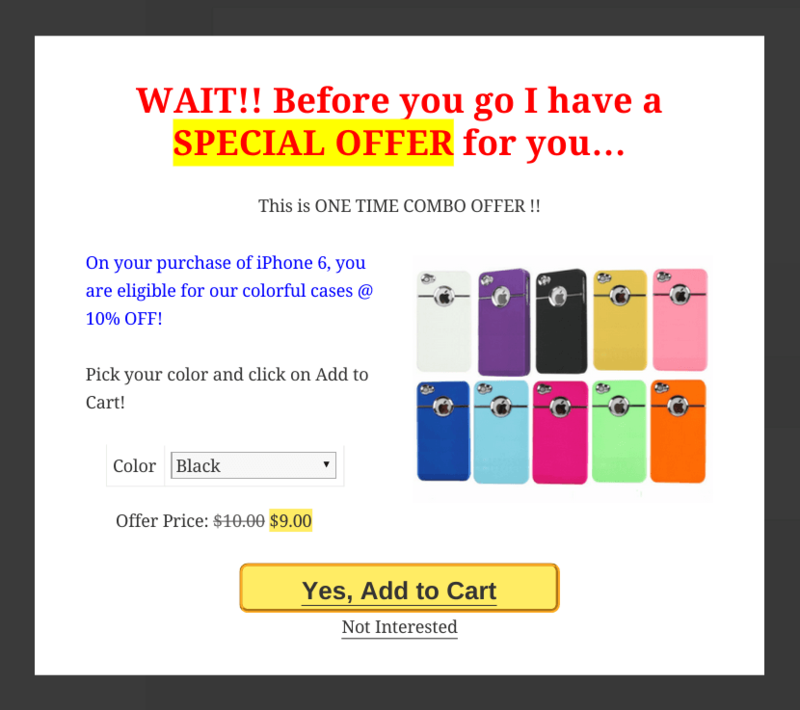 For better conversion of the offer, make sure the product pitched in the offer has a relevant connection (complementary) with the product that’s already in the cart. For example: If a person has already purchased a mobile phone from your store, think about the immediate next necessity that will look out for, like the mobile skin and show him a mobile skin offer. 97% of your customers do not complete checkout even if your offer is amazing. So we created a weapon to battle this issue as well. It is the Buy Now plugin. It directly completes the checkout process once the customer pushes the Call To Action. Thus wasting no further time and giving no opportunity for the customer to abandon the cart. The most fantastic part being, Buy Now plugin can be used with all the Smart Offers strategies mentioned above! To know more about this super lethal anti cart abandonment plugin read this. Do try out these Sell More Strategies using Smart Offers on your website this holiday season and provide us some feedback. Also, if you do not wish to lose out on customers due to cart abandonment grab the Buy Now plugin too and use it with Smart Offers. You can try out above strategies on our Live Demo and let us know what you think about it. Here’s our Exclusive Buy Now + Smart Offers Bundle. Do try it out!